2006 was exciting because I got to chase with Tim Marshall, one of the legends of storm chasing and a great guy. Unfortunately it was also a dud of a tornado season. We scoured the plains doing the best we could, chasing marginal setup after marginal setup and we did get a couple of good storms, but in general this was the season of taking scenery shots rather than storm footage. Interestingly, a lot of my friends like my photo album from this year more than any other because it's got a lot of the best shots I've taken showing the true beauty of the Great Plains. May 27th, 2006: Highly Electrified hail storm with great lightning over Bismarck, ND. May 30th, 2006: Classic supercell with rotating wall cloud, then high precipitation hailer over Roger Mills County, OK.
May 31st, 2006: HP supercell starting in Limon, CO then traveling east down I-70 with lots of hail and great mammatus clouds. 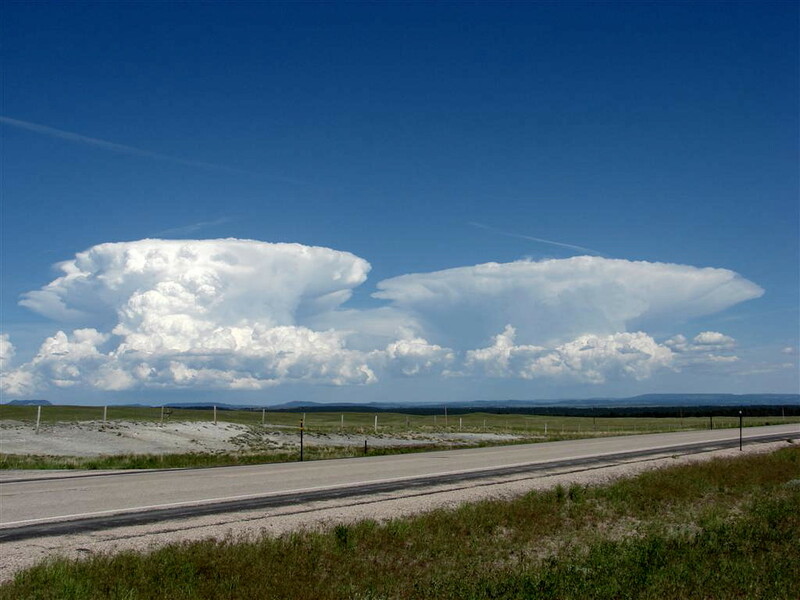 June 2nd, 2006: Nicely structured high-based storms over the Black Hills of South Dakota. June 3rd, 2006: Several severe cells near Highmore, SD with good banding and possible microbursts.